Only 2 days till Earth Day... and I just found out about it! I feel terrible. Oh well, I have a few comprehension exams planned for next week from the Quest book on Earth themes: Paying for Water for my secondary 5 groups, and Are You Green? for my secondary 4. Boring, but right on topic. I am having them complete these exams while I'm away in New York City with my secondary 3. Yes, I teach 3 different levels. All in the IB (International Baccalaureat Program). I'm very lucky because my students work really well, and are comfortable using their second language, so my ESL courses are very interactive and dynamic. 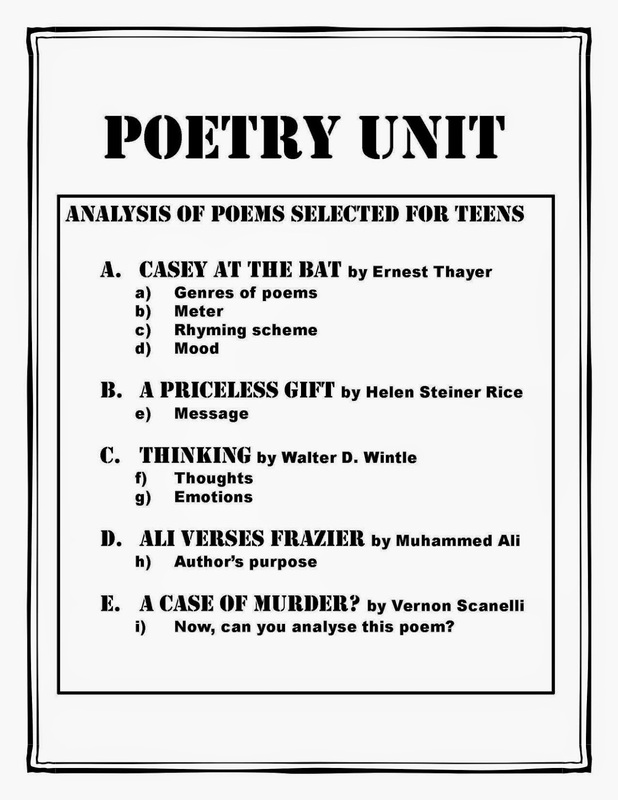 I will also leave my poetry unit behind for my sub teacher. It is really self-explanatory and allows students to work independently without too much intervention from the teacher. It's available at my TpT store. Just click on the book cover below and you'll be taken to my store. 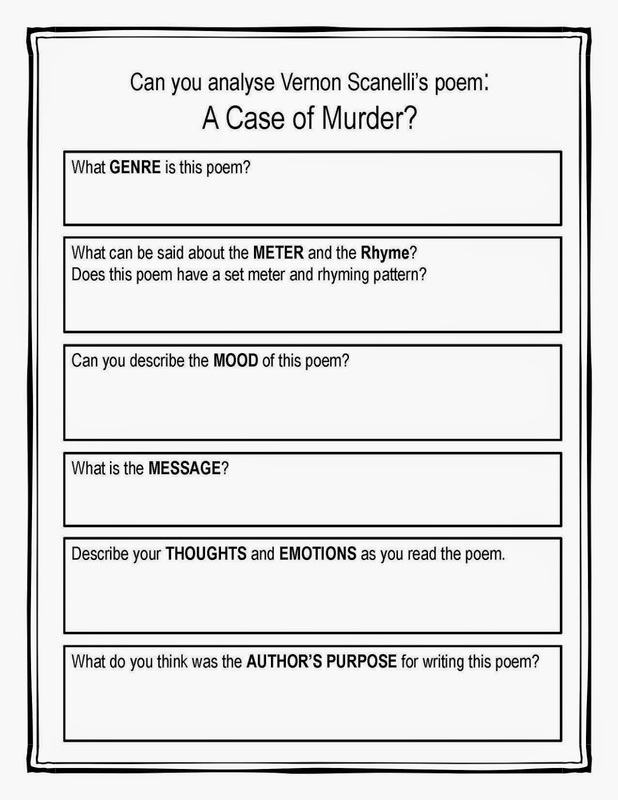 In this unit, students learn how to interpret the poem on different levels: Genre, Mood, Meter, Rhyming Scheme, Message, Thoughts, Emotions, and the Author's Purpose for Writing. 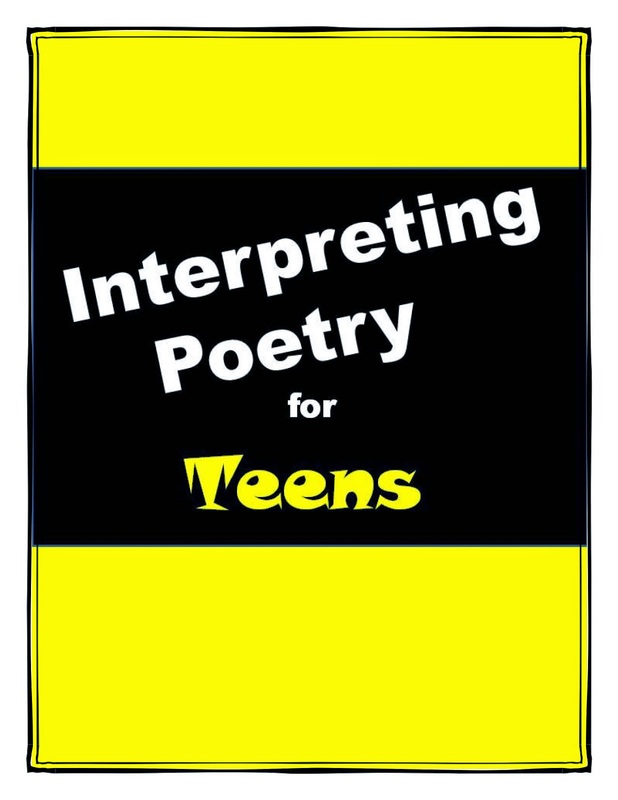 As you can see in the Glossary, there are many different poems of interest to teens. Casey at the Bat talks about the Mighty Casey who has a dreadful end to his popularity. Some say that this poem makes reference to Babe Ruth. A Priceless Gift speaks about the importance of friendship which is number one on any teenager's list. Thinking is a poem that was taught to me by a former basketball coach. It was part of a cybernetics: visualization program he introduced to us. Ali versus Frazier is a poem by non other than the famous heavyweight boxer himself! Finally, A Case of Murder, is a bizarre and dark poem about a young boy being left alone with a cat. My students love it! In the end, students have a different opinion, an educated one, of what a poem really is. They are able to interpret the final poem completely on their own.